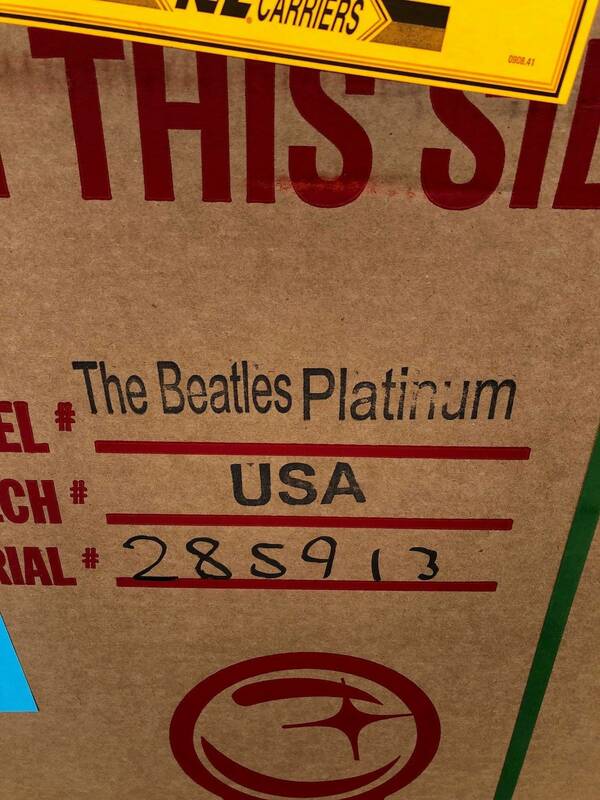 Beatles Platinum Edition #53. Opened it up and enjoying playing at my house. Kept original box, packaging and all paperwork. No damage or flaws. 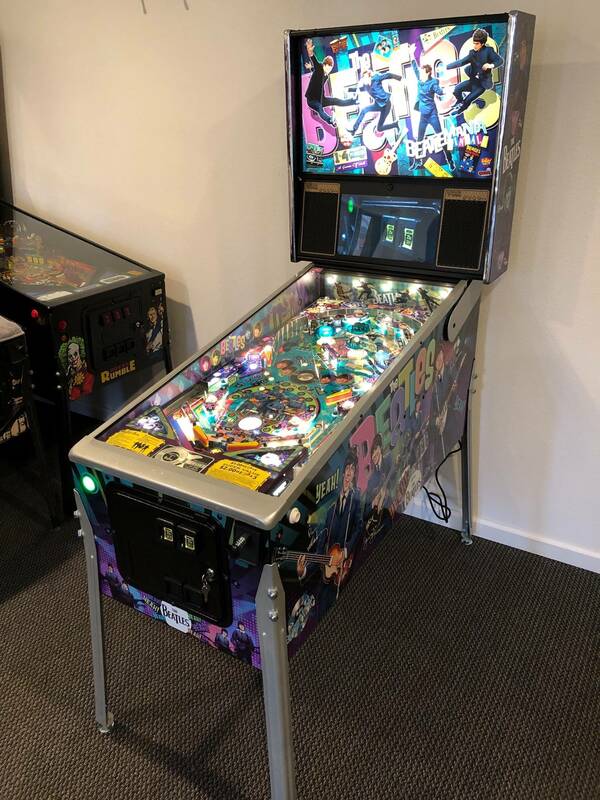 May be interested in trading for other high end pinball machines + cash, let me know what you have. I have a few other machines listed as well. I am willing to ship the machine but I would prefer local pickup. You can come pick it up yourself and play a few other machines while you are here. Machine is in Bakersfield, California. Is the only difference in the models the trim color? Different cabinet decals, Trim color and certificate. I thought the spinner was made from diamonds for 15 large. Or they at least figured out the triple spinner that didn’t work out for jjp potc. I will take some pictures when I open it up if I don’t sell it before the weekend. Remember when 10K by Christmas was big, fat joke on this message board? It wasn't that long ago. I have a feeling you're going to be un-boxing that bad boy. Agree. Not sure of the logic opening if intent is to sell. I think his logic is to keep the game unless someone makes it worth his while not to. You could buy two Beatles gold pins for this price. One to open and one to keep in the box. What was the NIB price of each tier? Nothing against the seller.... but worst theme ever for the price point on these games. 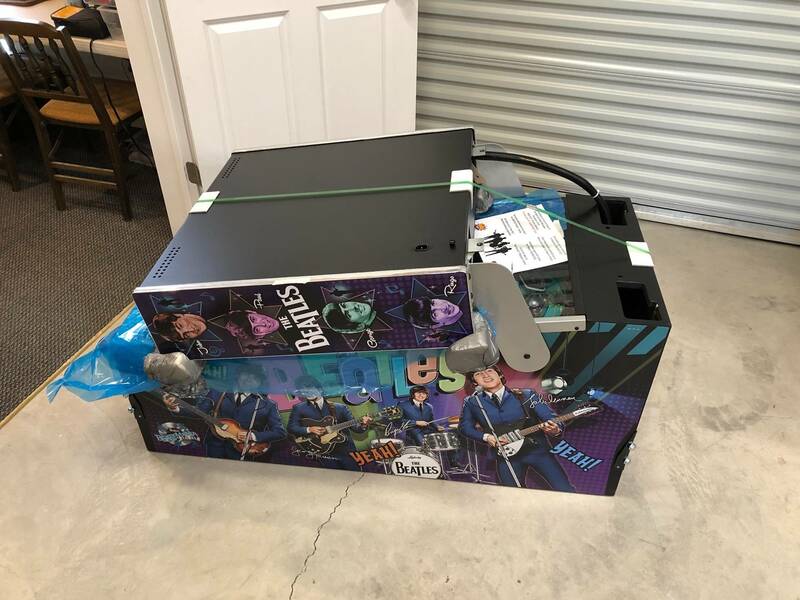 Beatles songs just don't mesh with pinball. Platinum and Diamond pricing is the Wild West. Distributors get to pice however they want. Struggling to see the value-add on the Platinum & Diamond models. Your correct, unboxing today and pics to follow shortly afterward. Hope you enjoy your new pin. Give us a review, on how it plays. Not bad-looking. Proven fun layout. Enjoy! Looks like $15,500 worth of fun to me. I played a gold edition at Pincinnati and was pleasantly surprised. Now 15500 is a different story. ooooh unboxed think he will take 15,100 now? Congrats! Hope you fall in love with it and keep it! Agreed now that the box is open, I have lowered my price to $15,100. Still going to enjoy playing it though. Don’t really care if I sell it or not. Love the big metallic flakes on the armor and legs. After playing a few games today, it is fun to play. Has a great retro layout and feel but has enough new technology to make it fun and give it the wow factor. Honestly, as many of you have already decided, the LE is overpriced and does not give you really anything more then the gold edition (I do really like the art and color better though). It was hard for me to break the tradition as I have 5 other LE band themed games. The gold is really the one to go with unless you are really a high end collector or die hard Beatles enthusiast. 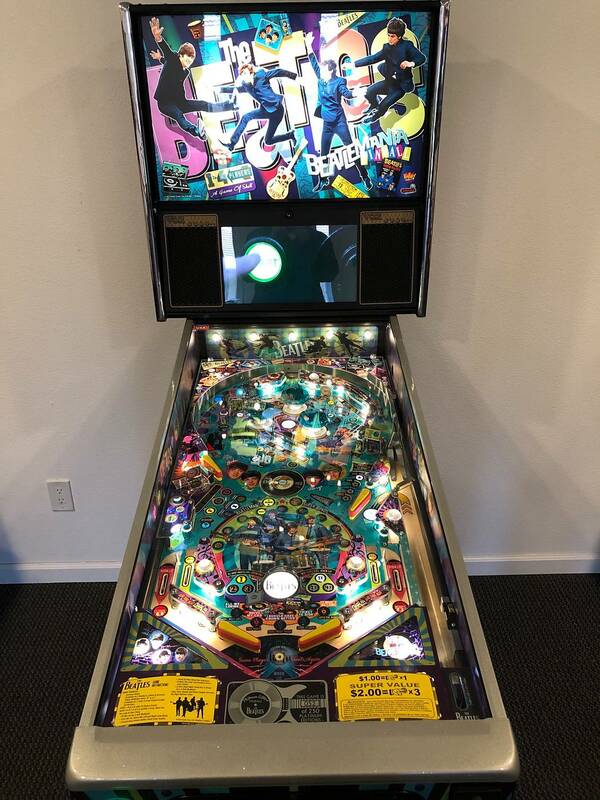 It would seem yet another pinball pricing limit has been broken. 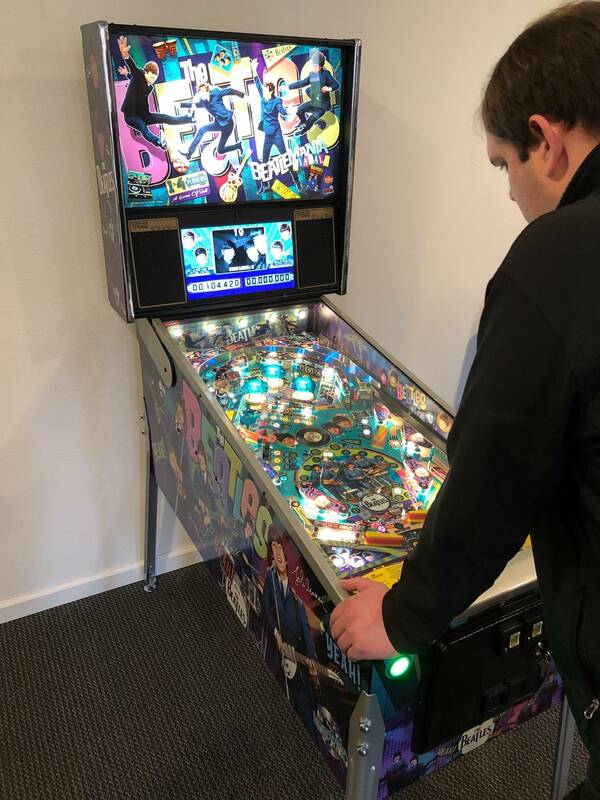 Based on the market acceptance of these exclusive high priced devices, it would seem to me it would behoove all the pinball manufacturers to create yet more super exclusive versions. As long as they are not adding additional features, but just decorating them differently, I would think it wouldn’t anger us Pinsiders too much, right?